"IT'S SO EASY, I FELT LIKE I WAS DOING SOMETHING WRONG." 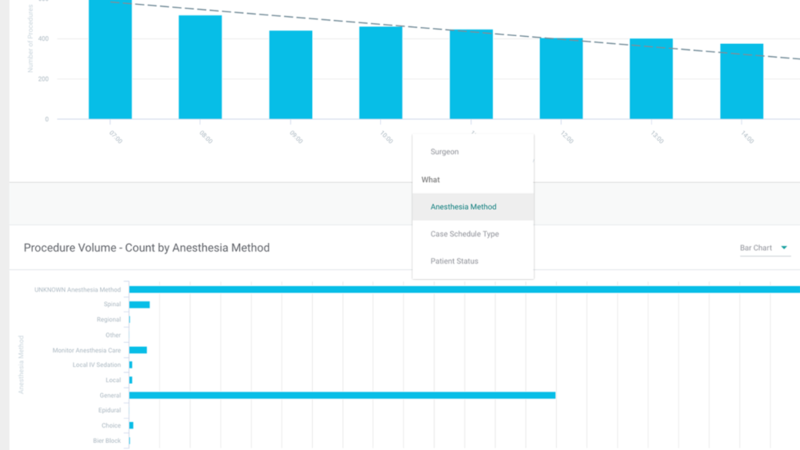 Periop Insight starts making your job easier with its easy but powerful online analytics and operational decision support tool. You can access it anywhere, anytime, on any device to check in on your performance, answer questions or support key decisions. Slice the data any way you want it - view detail by surgeon, room, procedure type. Quickly view all the information you need to run your OR, the moment you log in, all on one screen. Immediately access key OR performance measures to get the full picture of your performance. Make modifications to the measures to fit your local approach - make Periop Insight useful to you. Dig deeper to find the meaning in your data by easily viewing trends, peaks and outliers. 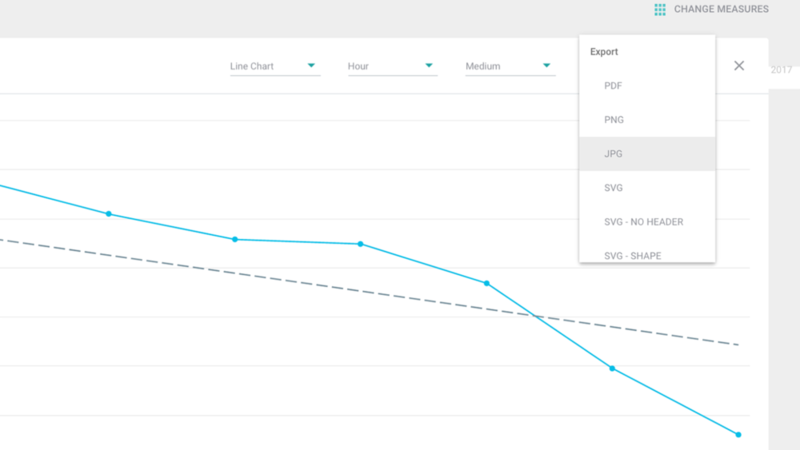 Export graphs straight from the dashboard in multiple formats for easy placement in presentations. Periop Insight's benchmarking component enables comparison of performance against others in our industry-leading database across a range of key measures. Benchmarking provides periop leaders and their stakeholders with context for their performance and goal setting and insight into the best practices of top performers. The Periop Insight database contains over 4 million surgical cases and is growing every day. Over 25,000 surgeons are represented in the database, enabling powerful surgeon-level comparisons. Use 14 criteria including size, location, complexity, ownership, volume and specialty designations. Build peer groups not only at the facility level, but also at the system, site, suite or room level. We use raw data so you can configure measures to fit your rules rather than a standard calculation. We map all data to standard data definitions from AORN Syntegrity® for specialty, procedure and more. Our reports look so great, we don't even call them reports - we call them presentation-ready materials. Show up to meetings prepared with thoughtfully-designed, perfectly formatted materials without lifting a finger. A monthly performance update provided to each surgeon with an overview of volume & efficiency, block utilization, and a service line comparison. 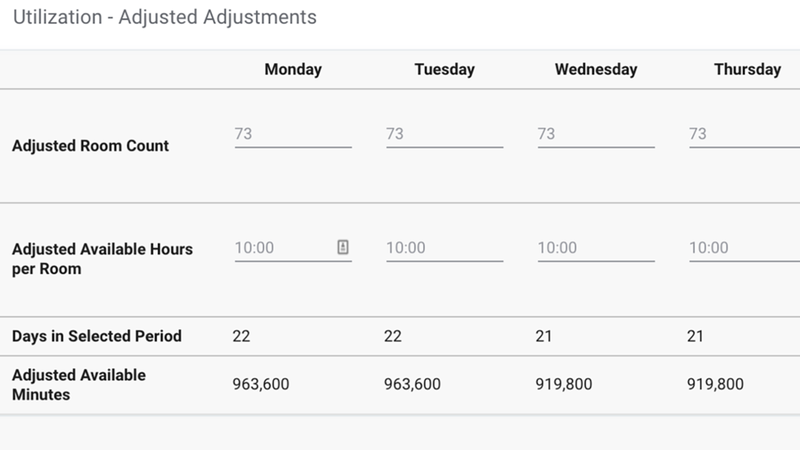 A quarterly or monthy in-depth review of every block showing metrics on block utilization, in-block case minutes, release minutes and turnover minutes. 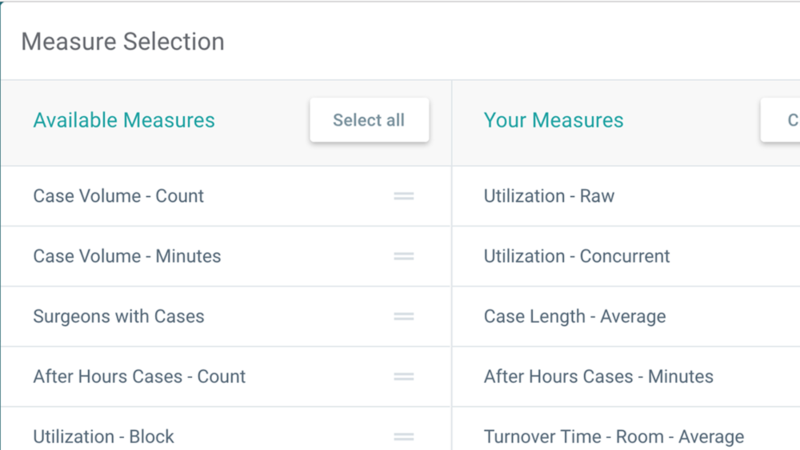 A regular pulse check on your key performance indicators like case volume and length, on-time starts, room utilization, and after-hours cases. We know you're working around the clock, so we do too. Our team is always ready to tackle any customer question or concern because we think you deserve quick answers and immediate support. Data security is our top priority. We ensure compliance with HIPAA and HITECH standards throughout our infrastructure and processes. Your data is secure always and everywhere. We use sophisticated tools and good old humans to continually audit your data against your original EHR records, internal reports and statistical benchmarks. 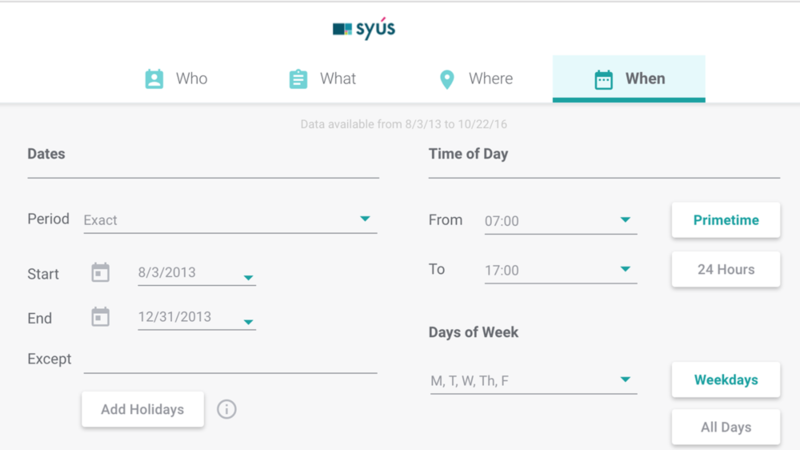 Consultants achieve improvements, but Excel-based tools and limited time involvement aren't sustainable and aren't always available when you need them, Syus is. We love to say "yes", as in "yes, our tool does that" or "yes, we can help you with that special report" or "yes, that is all it really costs." Try us, we'll do our best to say yes. What EHRs can Periop Insight work with? We can (and do) work with all EHRs. Because we do not interface directly with your EHR we can use data from any of your various IT systems. How does Periop Insight get the data from my IT systems? the data. Set it and forget it. What types of hospitals does Periop Insight work with? Currently we work with the whole spectrum of hospitals, from small rural facilities to large academic centers and everyone in between. How long does it take to get fully implemented? Because we provide a full-featured free trial, much of the implementation work is done by the time you sign up. Many customers are fully implemented within 30 days and none take longer than 90 days. Try it yourself—free for 30 days.